My grandparents used to keep a trailer up at Roosevelt Lake when I was a little girl. It was the perfect place to stay when we were visiting the lake, which was often. Some of my fondest memories are from our trips up to Roosevelt. My sisters, cousins, and I used to love to run around the area and explore whatever we could find. 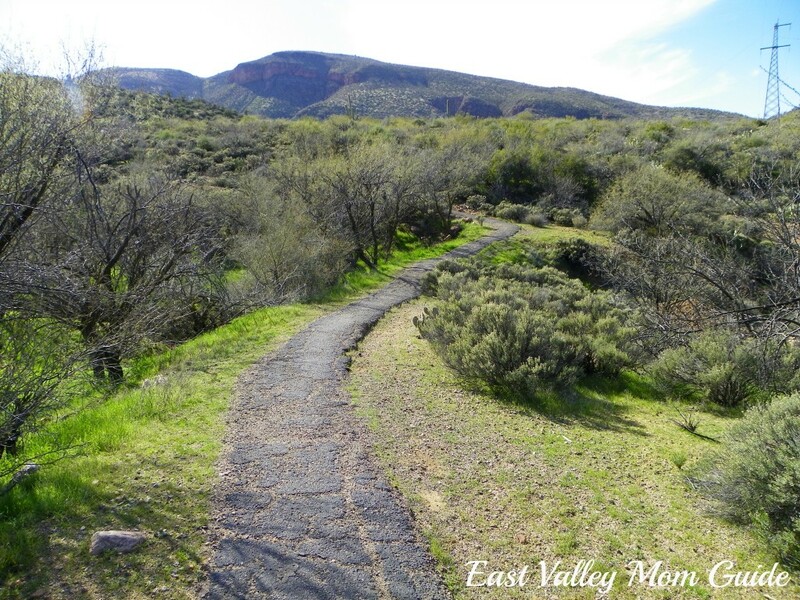 One of our favorite places to hang out was the Roosevelt Cemetery Trail. That might sound creepy, but it is a pretty neat, not to mention historic, place. Roosevelt Cemetery is the burial site of around 75 people, both local settlers and workmen who died building Roosevelt Dam. 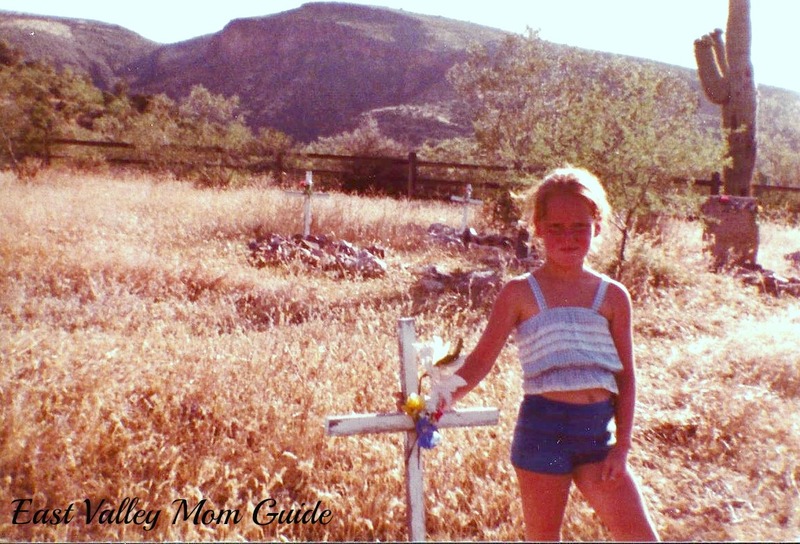 Most of the original grave markers are gone but some remain and many of the grave sites are marked by white crosses these days. If you look closely you might see the remnants of the original markers hidden behind those crosses. In memory of John Loser, a native of Germany. Killed April 25, 1908. One of the unforeseen costs of the Roosevelt Dam. Erected by fellow workmen. 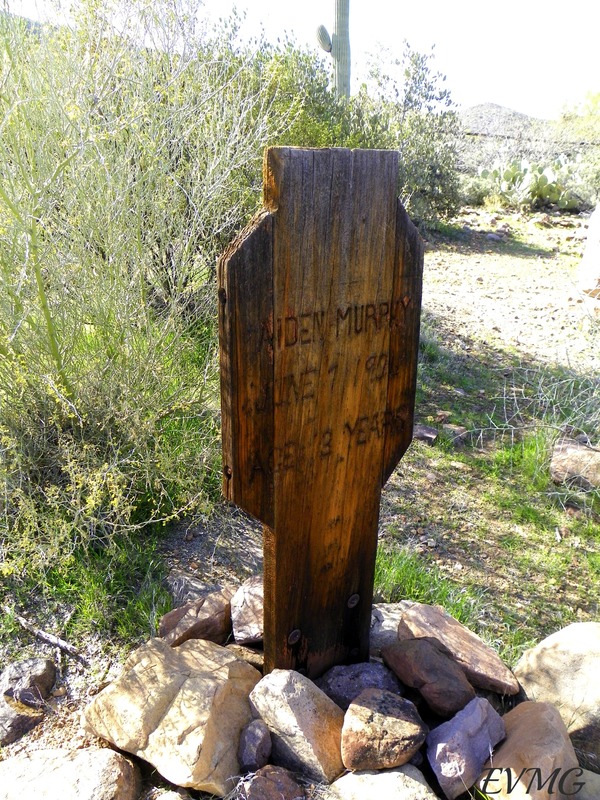 The other grave I remember from my childhood cemetery visits belongs to Aiden Murphy who died in 1906 at the age of 13. He is buried next to Moses Murphy who died five years earlier and could be his father. I always thought this grave was so sad since Aiden was so young when he died. The path to the cemetery is easy at 250 yards and depending on the time of year, it is quite pretty and can be very green. 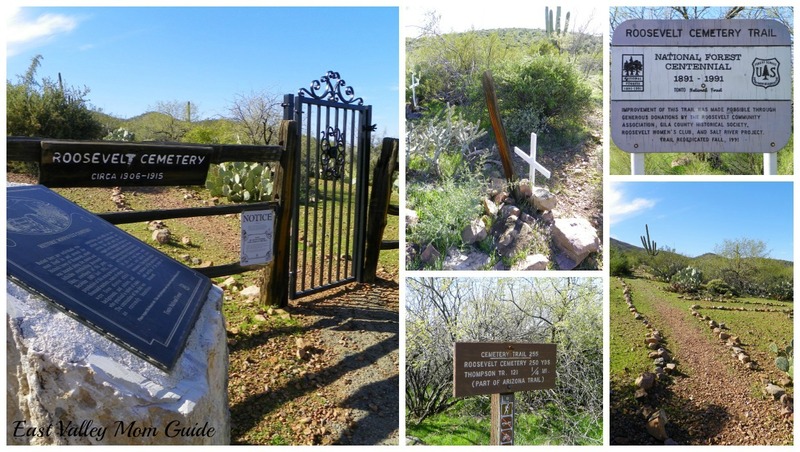 I have a lot of memories at Roosevelt Lake and many of them revolve around the Roosevelt Cemetery and its trail. Check out this picture of me at the cemetery sometime around 1984. Wow…look at the terrible sunburn! 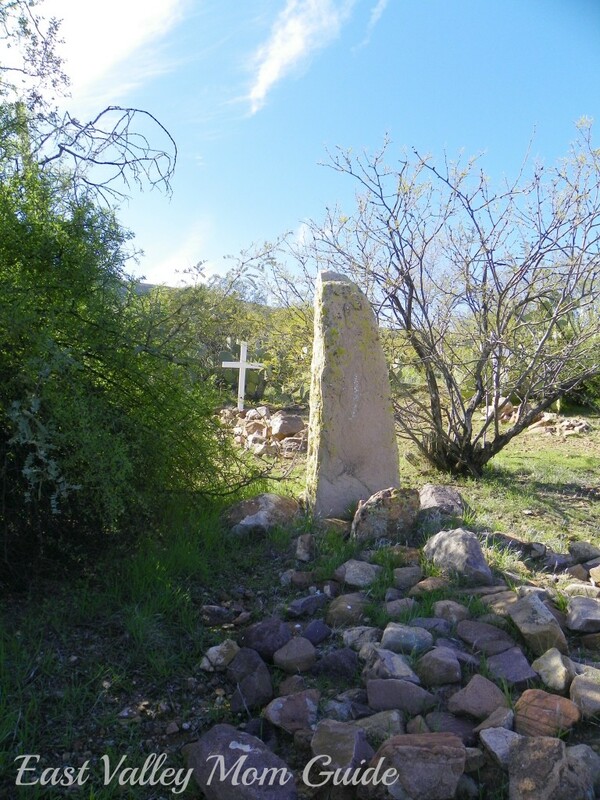 Roosevelt Cemetery is located off of HWY 188 directly across from the Roosevelt Lake Visitor Center. Take State HWY 87 (Beeline Highway) north for about 60 miles to the junction of State HWY 188. Turn right and follow HWY 188 for 26 miles. Turn into the Lakeview Mobile Home Park and the cemetery parking lot will be on your right. Please note that the mobile home park is supposed to close this year since the US Forest Service is not renewing the 40 year old park’s lease and plans to turn it into a KOA campground. This should not affect the cemetery but might change it’s access point. 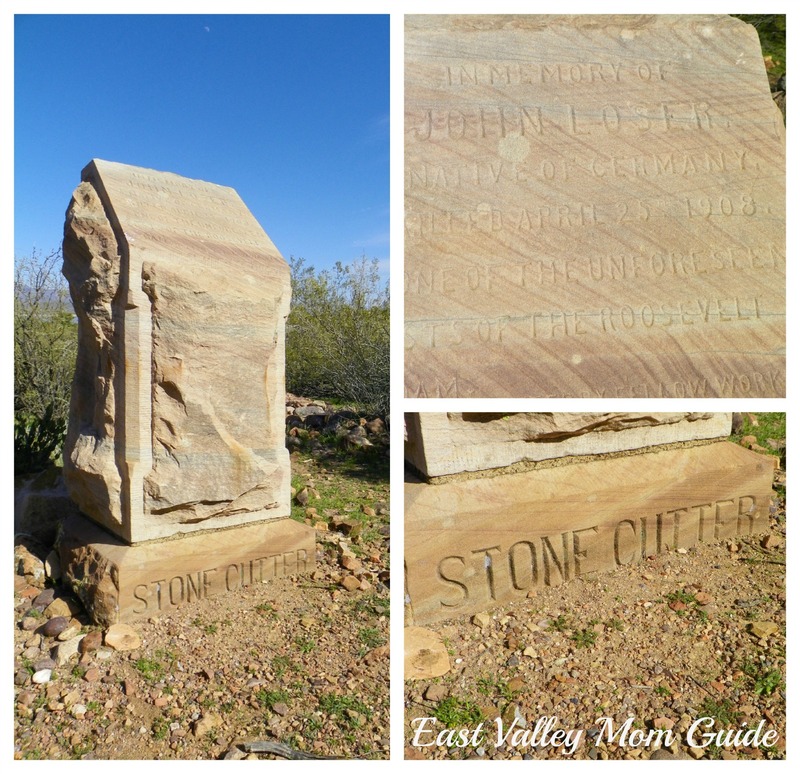 If you visit, stop by the Roosevelt Lake Visitor Center. 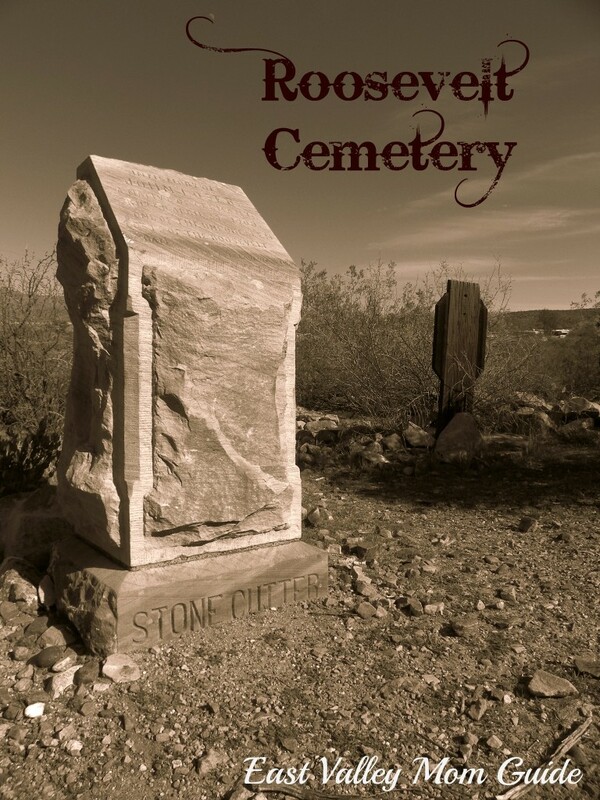 They usually have a self-guided tour brochure for the cemetery.